Being a multi-functional training machine, multi-gyms offer you the possibility to get your body holistically in shape. Here you have the free choice to train your different muscle groups. No matter whether it's arms, legs, abs or gluteal muscles - every muscle group can be trained with a multi-gym. Due to the great range of training, a multi-gym should allow you a multitude of settings. Besides a multitude of adjusting possibilities, the multi-gyms of Tunturi offer you a high variety of exercises as well to train all your muscle groups. 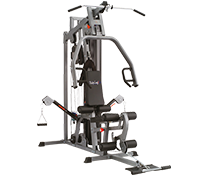 The multi-gyms are made of sturdy steel and allow a maximum user weight of up to 150 kg. A weight stack of 90 kg gives even advanced users a challenge. 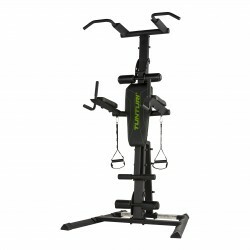 Thus, the Pure series of Tunturi is perfect for doing a successful strength training.